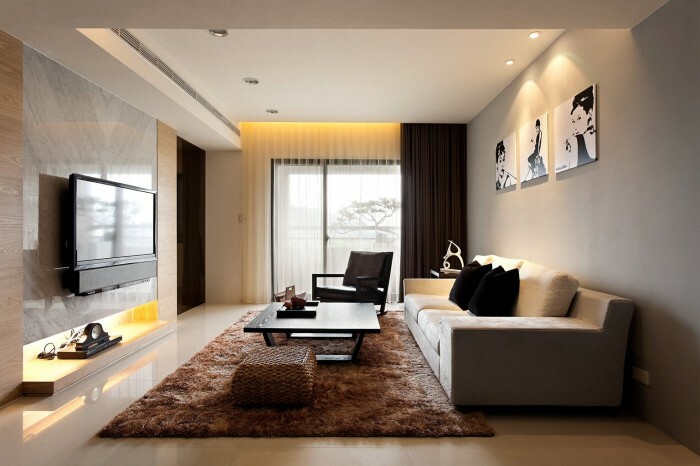 In each room – brown, neutral color tones. 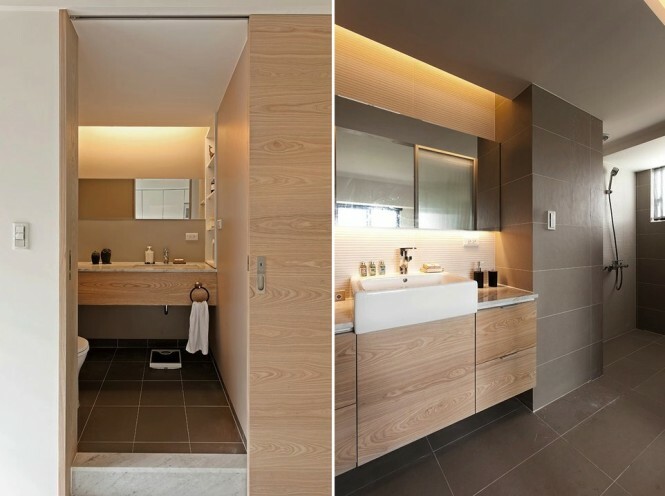 In each room – brown, neutral color tones which create a really cosy and relaxing mood (probably these are the colors closest to Lithuanians). 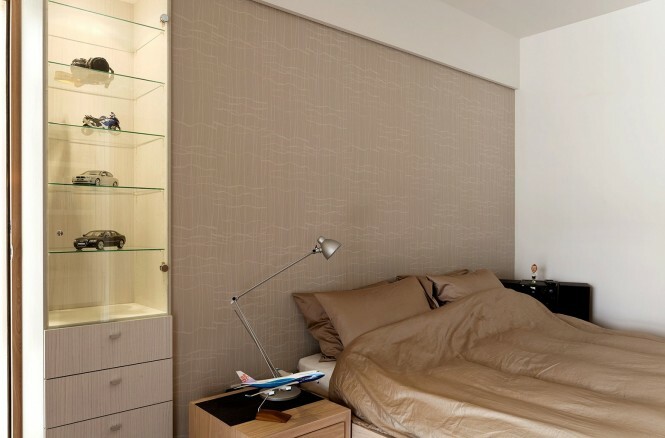 As in a lot of modern spaces, in this space the kitchen is joined to the guest room, there are also work room, closet and, of course, bedroom, bathroom and 2 children’s rooms. 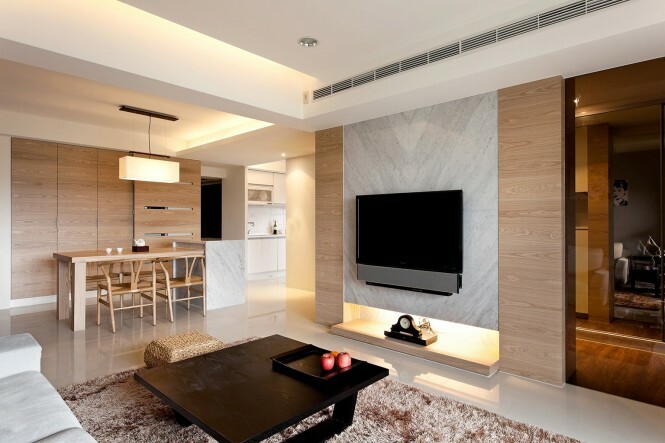 Element which is used the most by Fertility Design that I immediately recognize after seeing just a few interior photos is a huge TV hung on the marble surface. 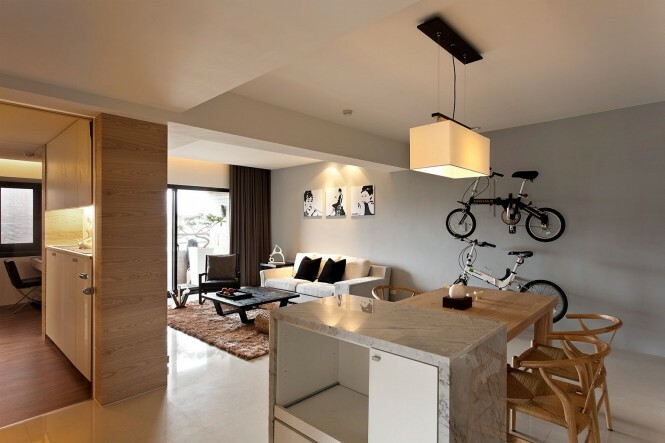 Try to pay your attention to the bicycles hanging on the wall. 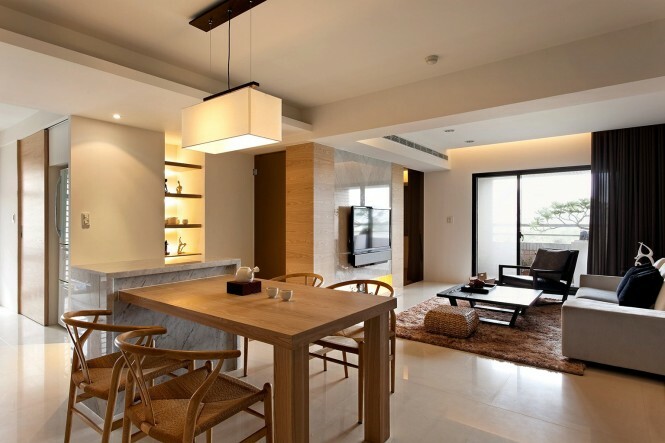 Nowadays this interior accent is used particularly often. 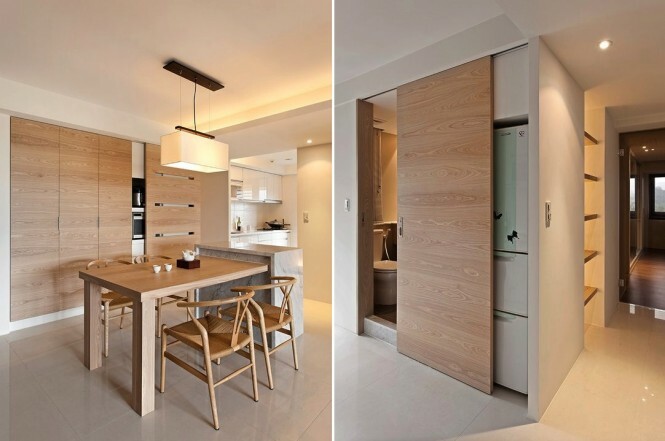 We see that the sliding door which takes the whole height of a room is used – in this case all things are hidden and the space becomes more roomy and clean. 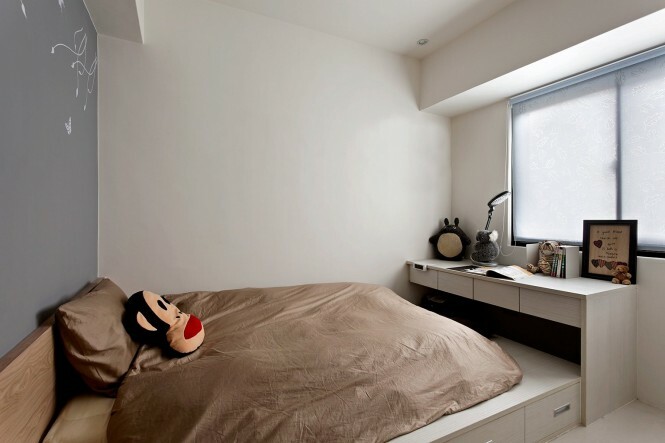 Solutions for children’s rooms: bluish-grey, brown and white tones, at most cleaned and neat, not overloaded space. 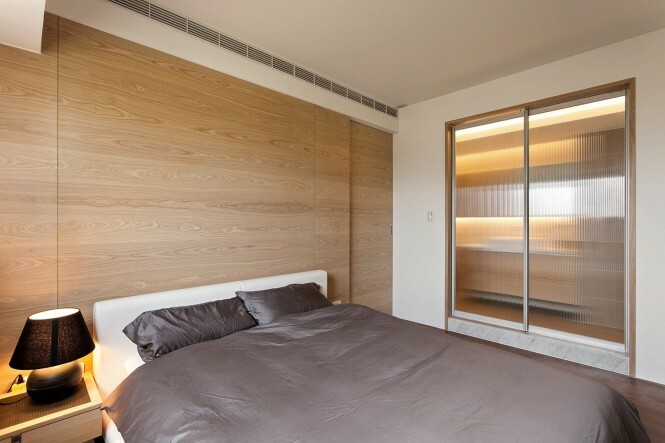 I just don’t really understand the solution of the photo underneath: if a closet is in an edging of the bed and the bed is not moved, how is it comfortable to take things from a closet if there is just a tiny space left? Maybe the bed is lifting? Well, and in the second room I personally lack the pictures or something that fills the empty walls. 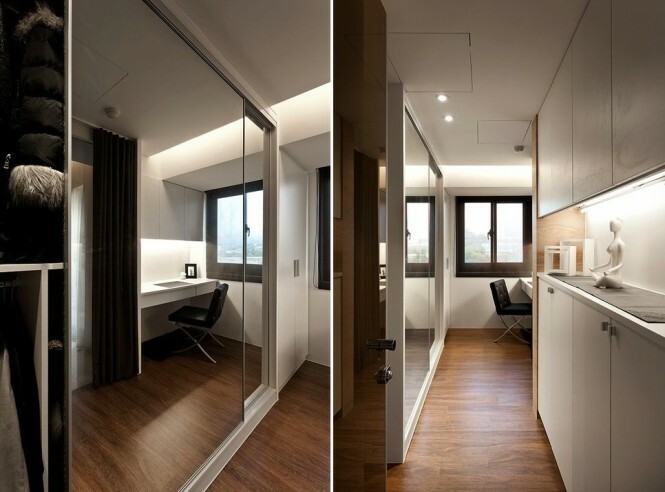 The closet is minimalistic and roomy because of mirror surfaces. 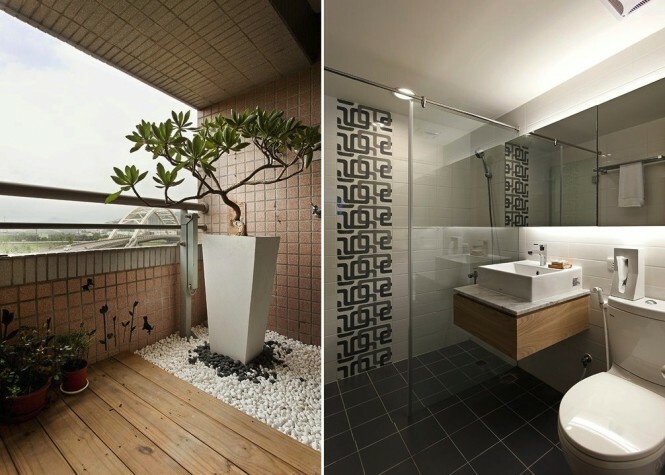 And finally the bathrooms. 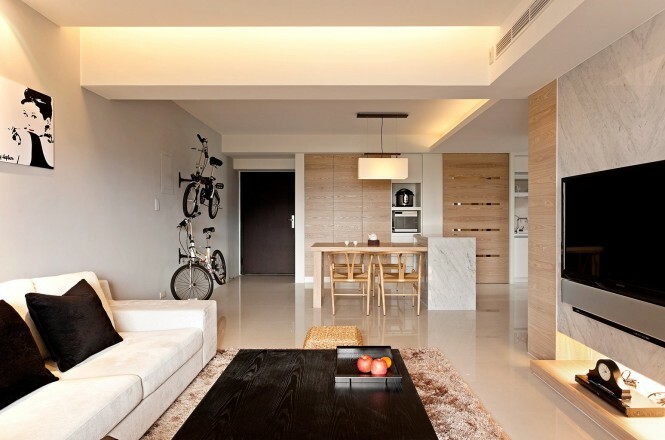 The first one somehow reminds of a kitchen interior, however, they are both simple, but comfortable and modern.